Hi guys! I hope you guys are having a great May so far! I recently ordered my first die and stamp set from My Favorite Things. I had been wanting a flamingo stamp or die set for a while now and when I saw this one, I knew I had to have it. I decided to make my own stencil with the heart that comes in the die set. 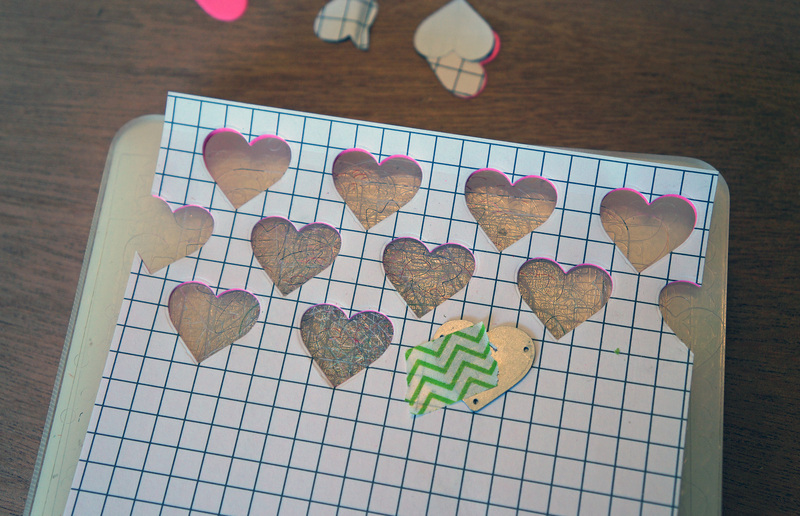 I glued two pieces of card stock and a sheet of graph paper on top to help me position the hearts. Once I was done with my stencil I used Scotch White Masking Tape to tape down my card base to my craft mat and then taped the stencil on top. I used some Wendy Vecchi embossing paste and added color to it with some Tim Holtz mini ink pads. 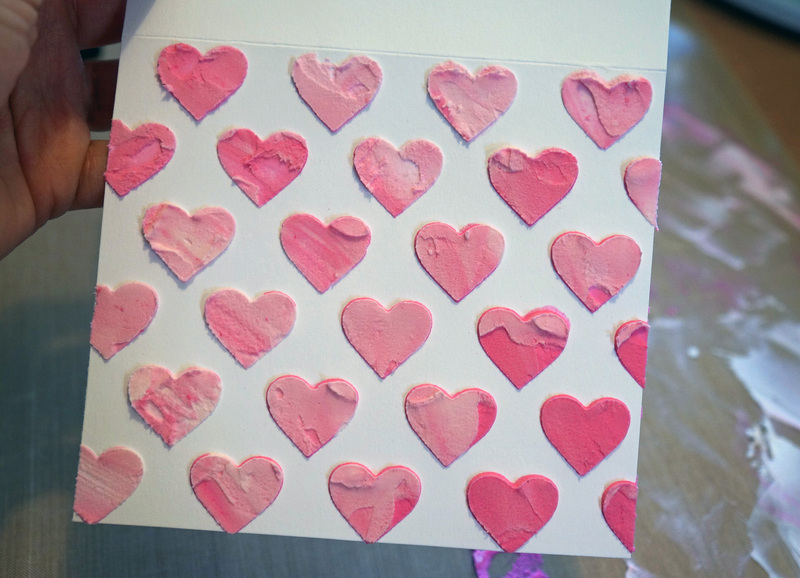 I love using embossing paste, this has to be my favorite technique. I love the texture it has once it dries and I love how you can use your ink pads to give it many different colors. I used my MISTI to stamp the sentiment because it was too wide for my paper. I stamped it word by word. 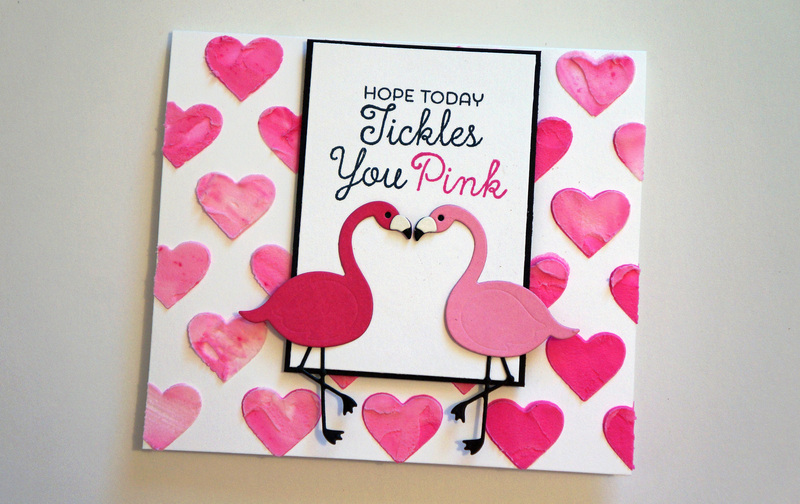 The sentiment originally reads “Hope today” on one line and the second line is “Tickles You Pink”. As you can see I made it into three lines and was able to stamp the word “pink” in pink ink. 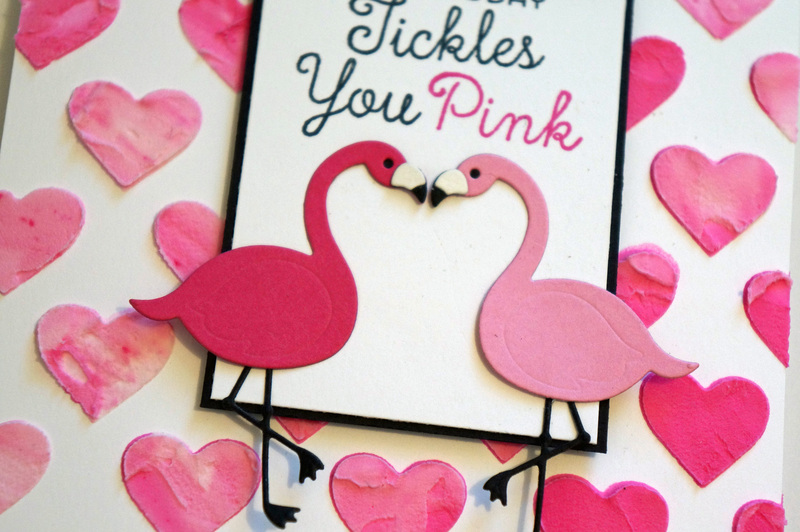 I used MFT paper for the whole card including the flamingos. I ordered their Card Stock Sampler, which to me is now a must have. They have so many different and vibrant colors, I love all the different shades of pink in the pack. I’m very excited about my new supplies and I can’t wait to order more from MFT!